Who is VITAL DEFENSE for? Young individuals (age 25–35) who wish to protect their skin from aging caused by harsh environmental factors (pollution, cigarette smoke, exposure to UV rays, climate variation, etc.). Anyone with lifeless skin or a dull, muddy complexion. 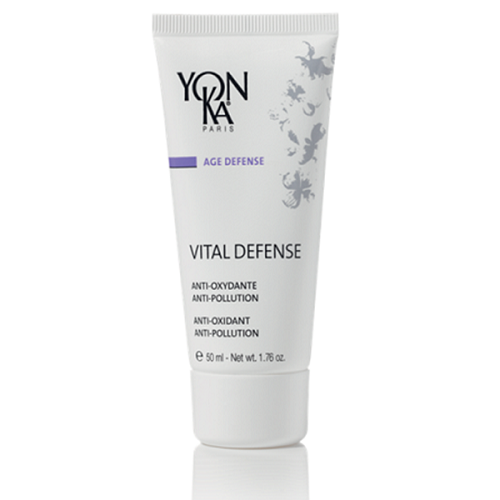 VITAL DEFENSE combines high-performance botanical extracts in a refined, smooth, fast-absorbing base with the energizing scent of pure sweet orange, mandarin, and magnolia essential oils. Great morning moisturizer with added protection! Exceptional service from Astonishing Skin Care!!! 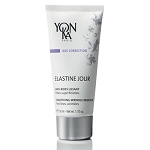 Apply in the morning to face and neck after cleansing and spraying on Lotion Yon-Ka. In the evening, for oxygenating action and optimal age prevention, apply Phyto 58 for dry skin or normal to oily skin. Active ingredients:Myrtle extract, grown organically, limits the propagation of free radicals and reinforces the skin's natural self-defense system. Moringa peptides protect the skin from harsh pollution and purify the skin by eliminating asphyxiating micro-particles.